Everybody knows what a samurai sword is, mostly because they are considered very cool and are today seen more as a symbol than a regular historical bladed weapon. Actually, katana is just one type of sword-type blade that was used by Japanese warriors, who later in history became a cast in the feudal system of this nation. Before the katana, there was the tachi, a blade worn by samurai before the invention of katana. Tachi was longer and proportionally lighter than a katana, and it blade had a bigger curvature. In essence, it was a cavalry weapon, used by mounted troops, along the traditional Japanese longbow Yumi. A few centuries later, samurai dismounted and fought mostly on foot. Soon after that, the katana was born. 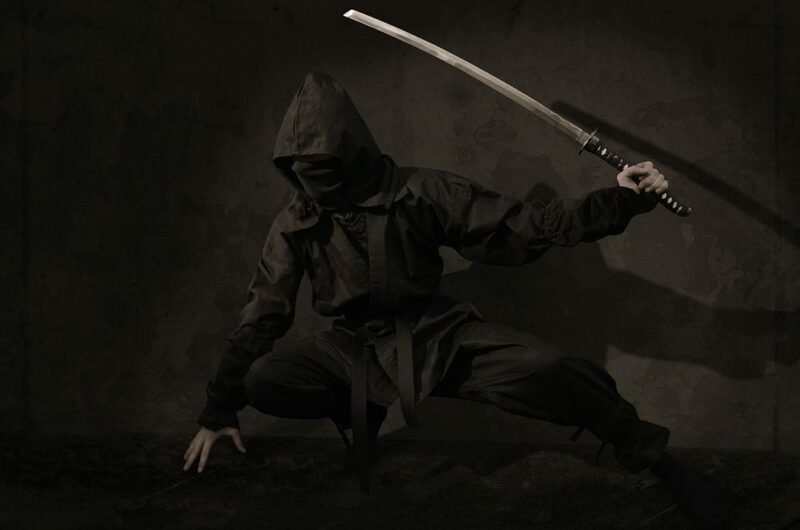 Katana is a very recognizable weapon. It has a curved blade (but not as curved as the tachi) and a long grip because it was meant to be wielded by both hands (samurai weren’t big on carrying shields). Frankly, no other bladed weapon is as distinctive as the katana, and its spectacular design, refined by master blacksmiths and forgers, was compared to the simplicity of a single blade of grass that could cut a man in half (and often, it did). Samurai code of conduct called bushido was a very grim belief system, which put all the emphasis on personal honor. In it, the katana isn’t just a weapon. It represents the embodiment of the samurai steadiness in his beliefs, and is a bond between him and his bushido code. Samurai were disarmed in the 19. Century when they lost the right to carry a katana, but the sword didn’t leave the collective Japanese consciousness. In World War II, Japanese officer carried katanas, and used them in the field of battle (on civilians and prisoner too). Today, it’s still a powerful symbol and a prized object. If you’re thinking about buying a katana, here are some things you have to keep in mind. 1. Katana is a weapon. In modern Japan, Yakuza gangs (partly because of the strict gun laws; discharging a gun may get you a life in prison in Japan) still use katanas with great efficiency and people still lose their heads in Kabukicho district in Tokyo. But, even in your hands, it can be really dangerous, not only to yourself, but to other. Often people try to impress somebody with their katana, and end up chopping of their fingers. Here is an instrucional video on how to safely handle a katana. 2. Don’t try to save money. If you want to own a katana, be prepared to pay the right price. The cheap katanas you can by online in any big retail martial arts store are okay only if you plan to keep them on your wall and never take them out of its scabbard. Do your reading, ask around and buy a katana that is reliably and made by a good standards (quality of steel, the makers brand, quality control and the guarantee you will receive). This means more cash (usually a lot more), but buying a katana isn’t a thing were you should think about saving money. 3. Start training Iaido. Once you by it, learn how to use it. Iaido is a Kendo relative, and it’s a martial art dedicated to the art of katana sword play. There you will learn how katana is drawn, how to strike and cut with it and most importantly, do all this in a safe environment. But, have in mind that you’ll also need an aluminum practice Iaito sword (basically an unsharpened katana replica) in the beginning. 4. Learn how to take care of your katana. Katana is an investment, and you have to know everything about its maintenance (how to treat the blade, the handgrip, etc.). This also includes proper ways of securing it in your home, because you don’t want your kids playing with it. Buying a katana isn’t a simple process. But, with a right amount of preparation, dedication, reading and most importantly time, you can own and learn how to use this incredible part of Japanese history.